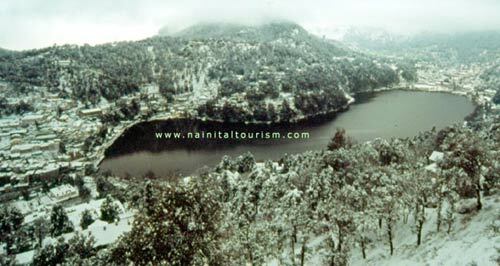 Dotted with lakes (Nainital Lake, Bhimtal, Naukuchiatal, Khurpatal, Sattal), Nainital hass earned the epithet of ' The Lake District' of India '. The depth of this lake is said to range between a maximum 28 metres and a minimum of 6 metres. 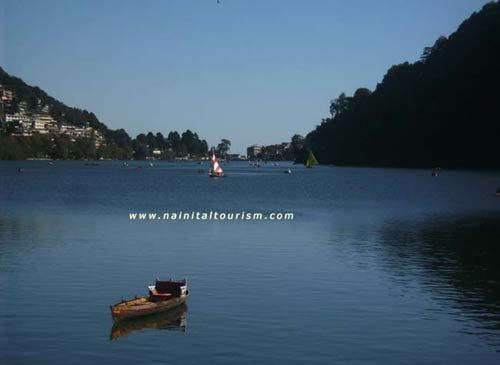 Most Important Characteristics of the town Nainital has some unique features and physical characteristics. By far the greatest attraction is provided by the lake Naini. Flowing on the base of rising peaks. 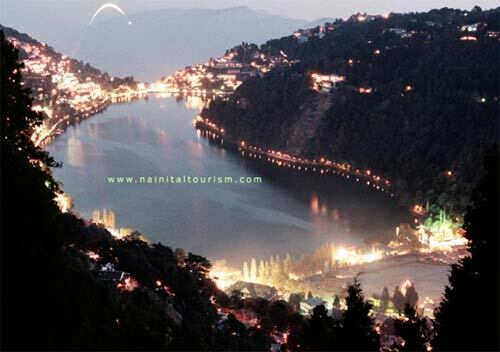 Seven hills encircle the Nainital lake which are known as Ayarpata (2,235 metres); Deopata (2,273 metres); Handi Bandi (2,139 metres); Cheena (2,611 metres); Alma (2,270 metres); Laria Kanta (2,481 metres) and Sher-ka-Danda (2,217 metres). Of these, Ayarpata is so called from Ayar tree (Andromeda ovalifolia) and Handi Bandi from the echo (or devil's laughter) which it is said can be heard here. Sher-ka-Danda means the tiger's ridge and Laria Kanta is said to have been named after some forgotten goddess. The Alma ridge has been named after the famous battle of Alma, fought during the Crimean war. 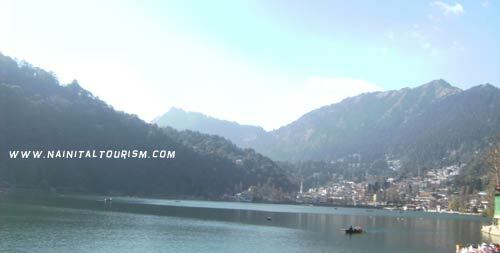 The soldiers who fought in this battle were stationed in Nainital during 1857. The lake presents a view which lingers in memory. All around the lake is wide road, the Mall, now known as G. B. Pant Marg, which is crowded by pedestrian and rickshaw traffic. All this is mirrored up and brightly reflected in the glittering blue waters of the lake. There are many mythological stories related to this lake, especially its origin. 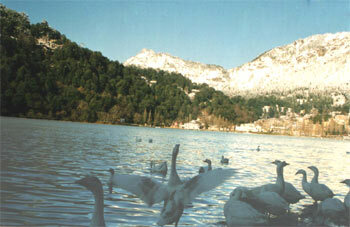 The first story states that Naini Lake was earlier known as ‘Tri-Rishi-Sarovar’, meaning 'the lake of the three sages'. Three sages - Atri, Pulastya and Pulaha - of the saptirshi group landed in Naintal, during a pilgrimage, and did not find water to drink. They dig the ground and worshipped there, for getting water at the spot. 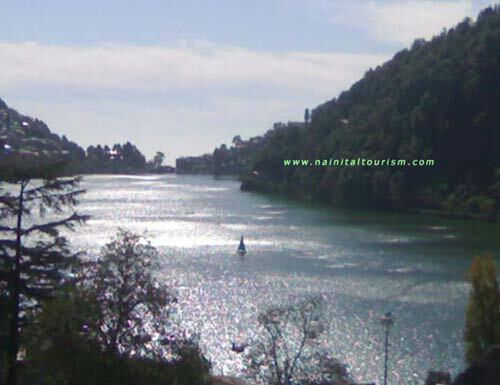 The Naini Lake is also mentioned in the Skanda Purana as the Tri Rishi Sarovar. 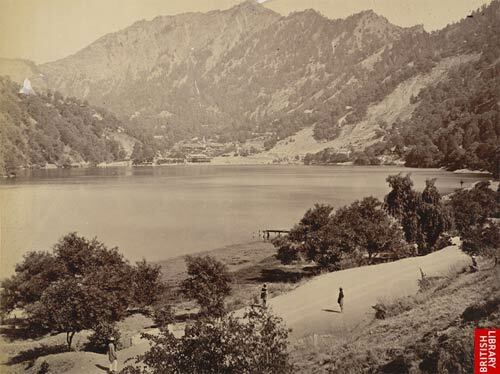 View looking south across Naini Tal Lake from the north end Photograph of Nainital from the Macnabb Collection (Col James Henry Erskine Reid): Album of views of 'Naini Tal' taken in 1885. 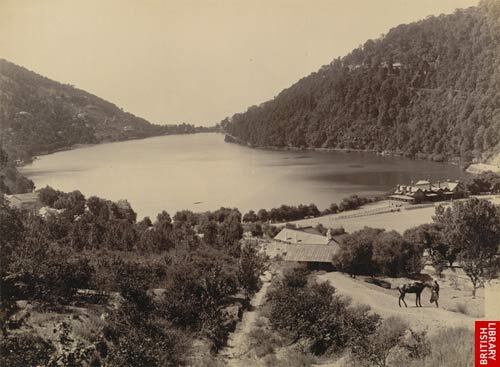 View of NainiTal Lake, looking north-west from the eastern hills Photograph of Nainital from the Macnabb Collection (Col James Henry Erskine Reid): Album of views of 'Naini Tal' in 1885.